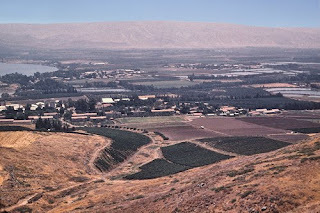 A U.S. proposal for a deal with the Palestinian Authority did not include an Israeli lease for part of the strategic Jordan Valley as widely reported, according to a senior PA official speaking to WND. The PA official said the proposed deal from the Obama administration instead gave most of that territory entirely to Palestinian control. The official was referring to a report from Israel's Army Radio US which claimed the Obama administration proposed that Israel relinquish the Jordan Valley to the Palestinians and that the Jewish state would lease back parts of the valley from the Palestinians for a up to seven years. According to that report, Prime Minister Binyamin Netanyahu agreed to the idea, but asked for the arrangement for the lease to be longer than seven years. The PA official told WND the Obama administration instead has adopted the Palestinian position that the Jordan Valley should become part of a future Palestinian state entirely. The official said the U.S. had proposed that international troops, along with Jordanian and Palestinian forces, would patrol the area. The official said discussions would be held with Israel for special security arrangements in the Jordan Valley to be determined. The PA official said no part of the Obama proposal allowed for Israel to lease the Jordan Valley. He said it was Netanyahu's office which presented a counter-offer of leasing the Jordan Valley from the PA. The PA official and other Palestinian diplomatic sources contacted by WND said the PA has no intention of leasing the Jordan Valley to Israel if it gains the territory in a deal. Netanyahu himself said at a Knesset faction meeting last February that Israel could never agree to withdraw from the Jordan Valley under any peace agreement signed with the Palestinians. Netanyahu told the Israel's Foreign Affairs and Defense Committee that the Jordan Valley's strategic importance along the eastern border of the West Bank made it impossible for Israel to withdraw. The information comes as Netanyahu met Secretary of State Hillary Clinton here in New York today. According to Israeli sources in Netanyahu's entourage, Clinton demanded Israel agree to at least a two-month freeze of all Jewish construction in the West Bank as well as a major slowdown on Jewish building in the eastern sections of Jerusalem. At a press conference, Clinton said the Israeli decision on settlement building was counterproductive to talks with the Palestinians. She said she believed that both Netanyahu and Palestinian President Mahmoud Abbas were serious about the talks. "The prime minister and President Abbas are both very committed to a two-state solution. And we are going to find a way forward," she said. Netanyahu, meanwhile, said he was "serious" about talks with the Palestinians. "We'll be talking about how to resume and continue this process to get a historic agreement with peace and security between us and the Palestinians," Netanyahu said just before he began a meeting with Clinton. "We also hope to broaden it to many other Arab countries ... we are quite serious about doing it and we want to get on with it," he said.